Kiam specializes in Swedish Massage. My partner and I booked a couples massage. Both therapists arrived within 2 hours. They were great and very professional. We’ll definitely use Blys again. Amazing! My husband and I had a great massage with Ross and will book him again this Friday and then weekly ongoing. 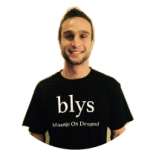 It’s been so hard to find good massage therapists and a quality home service – so, thank you Blys. Love the website – was so easy to book a massage and loved how you can see your therapist approaching! And my therapist Kiam was excellent too. Great service. K. No obligation, its free to join and I can work when I want! K. Yes, of course, it s help them to reconnect with their body. K. It’s the best massage of my life.